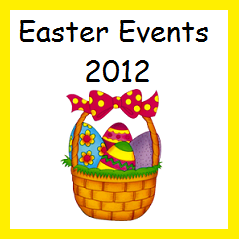 This year, Easter falls on Sunday April 8th 2012. Below are fun activities leading up to and for Easter this year. As always, if you know of an event we haven't listed, please email us at contact@enjoyutah.org so that we can add it to the list! Catch The Easter Bunny On Camera!!!! A list of egg hunts for those with unique circumstances, like food allergies, and more. Delta City will have their egg hunt for the children at the old football field (current soccer field) which is just north of the city library, located between 100 and 200 West where 50 N street would be. Saturday morning, 4/7 @ 9:30. Hinckley Town (a small community 5 miles west of Delta) also hosts one the morning of April 7th, unsure of the time.